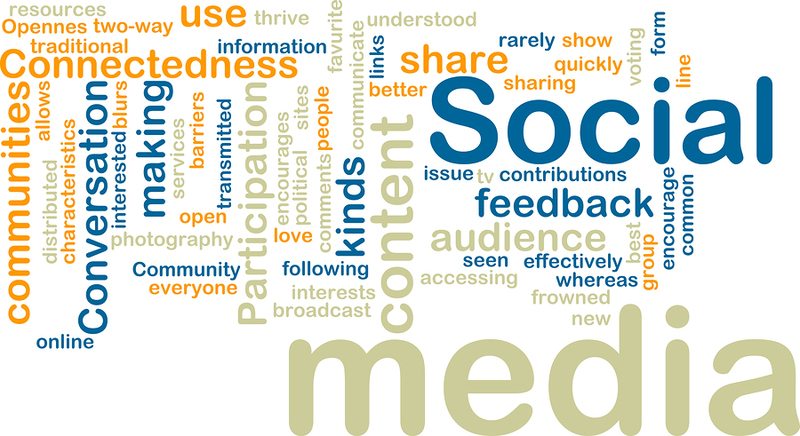 Many businesses and organizations are finally beginning to realize the importance of social media. Facebook is growing rapidly – over 500 million people are now connected. Many of these businesses are under the impression that establishing a Facebook presence will magically lead to more business activity, sales, and increased awareness in their product or service. This is not the case. At times, social media can be difficult and frustrating. “Why are all these people posting negative reviews on my page?” and “Why isn’t social media leading to increased sales?”, may be frequent questions. What these people fail to realize is that a connection between the tangible (store visits, quality of service), and the virtual (social media) must be made before results can be achieved. I believe that creating and maintaining this cycle is the key to utilizing the power of social media. I understand that many customers are NOT using social media, yet I believe it is in the best interest of businesses to make every effort possible to reach the people who ARE using it. Imagine walking into a family-owned jewelry store (Smith Jewelers), and being instantly greeted by an employee who is very helpful. They offer suggestions, and assist you in finding the perfect gift. The service was great, and you are very impressed. After you have bought the product, the cashier mentions that if you sign up and connect to their page on Facebook, they will give you a $50 dollar gift card (in the jewelry business, this is a small incentive). Better yet, if you sign up on the spot, they will refund $5 dollars from your jewelry purchase. This seems like a good deal, and you walk over to a conveniently stationed computer and become connected on Facebook. Six months later, you are relaxing at home after a long day of work. After a quick check of your email, you decide to see what everyone is doing on Facebook. Scanning through the latest updates you notice “Smith Jewelers is offering our Facebook fans a special deal that ends tomorrow, 50% off all earrings in stock.” You recall the experience that happened 6 months ago, and remember their professionalism and quality. After work the next day, you stop by Smith Jewelers and purchase a pair of $400 dollar earrings for $200 dollars. You are extremely [cialis pills online](http://pills-cialis.net) satisfied and refer friends to Smith Jewelers. I understand that this is a “dream” customer, yet this example demonstrates that there are many simple and effective tactics to create the full circle connection. Many brands focus on developing an effective social media presence, yet fail to recognize simple and effective ways to implement social media with day-to-day activities. Social media does not replace traditional marketing and business functions, it enhances them! For those of you who send out direct mail pieces, consider integrating social media URLs in addition to your website URL. I have seen many pieces of direct mail with icons for Facebook, Twitter, and LinkedIn, yet they need to search for the page before they can connect. The goal is to connect tangible with virtual in as few steps as possible, therefore I suggest posting the URL in order to streamline this process. For a great example of a company that harnesses this power check out Dukky. Feedback cards are a great way to see how your business is doing by collecting valuable feedback from customers. Simply create a feedback card that points to an online feedback form. I suggest using Google Docs, orWufoo. Integrate social media into this process! On the back of the card, add the Facebook URL ( visit facebook.com/username to set up a vanity URL). I highly suggest rewarding the people who give feedback – compensate them for their time! Give people a reason to become connected on Facebook. Do not underestimate the power of a coupon, it can be your best friend! Feel free to experiment! Make sure you remember that the goal is to connect tangible and virtual experiences. The more unique your efforts are, the more likely they will be spotted (and remembered) by customers. As a general rule, integrate your efforts with everyday business- it’s much easier than trying to create something new. There are many people who create fake profiles and portray themselves in a way that is completely inaccurate. Make sure your business focuses on portraying itself in a manner that matches company goals and expectations. If an angry customer walks into a store and would like to speak with a manager, will they be ignored? I hope not! Likewise, if someone posts a negative comment, make an effort to ease tensions. I typically ask them to send an email explaining the problem and make an effort to resolve the issue through email. In my opinion, this is hands down the largest contributor to the success of social media. Before social media, in order to stay updated, people had to visit the website on a regular basis. Now, a person chooses to connect via Facebook or Twitter, and content is delivered to them! To illustrate this point further, I can visit Mashable.com everyday (if I remember to), or I can have stories shared directly to a place where I am comfortable and check on a regular basis (Facebook). This is a fundamental difference and asset that must be utilized! Create a connection with your customers on Facebook! Respond to their questions, provide quality content that is of value to them, and make sure you reward them! This will lead to increased brand loyalty, which can result in increased sales! Periodically send emails, but keep it to a dull roar. Many people do not read their emails, but if you already have an email list, send out a short message letting them know that you are on Facebook! I also suggest putting social media URLs at the bottom of every email message to convert them! I mentioned, this can be as easy as utilizing current structures and methods in a new way. If you would like to create something new and unique, I may be able to help you. I am a poor college student who is constantly looking for social media work! I do not want to make money off writing blog posts, yet feedback and comments ARE APPRECIATED!